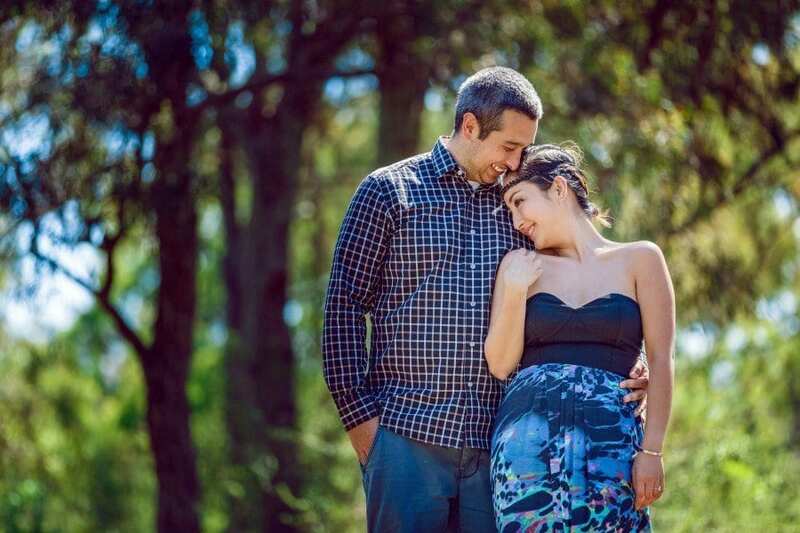 Why should you have an engagement shoot? While some of you might not be very keen on an engagement shoot, there are some reasons why you should have one. First, it will give you an opportunity to be photographed professionally and to get into the groove for the big day. With some experience to fall back on, photography on the wedding day wouldn’t seem as daunting if you already had an engagement shoot. Although it might seem a trivial reason to have an engagement shoot, knowing your photographer before he clicks your wedding pictures has definite advantages. If you know him and establish a rapport with him, it will show in the pictures. You’ll not feel the awkwardness of being clicked by an unknown person on the most important day of your life. Working with him will give you an idea of his work style and expectations. It would give your photographer ideas on how to get the best picture of yours, as he would have an idea of your personalities, the unique chemistry of your relationship and the little details that make a huge difference. Plus, your photographer would’ve covered hundreds of events – he’ll give you tips on how to get the best out of everything. Clicking your engagement photos at the location where you got engaged or where you met could be an opportunity for you to relive those magical moments. It could add to the strength of your relationship and help you reconnect with each other. Being with each other in a familiar environment could do wonders for your relationship, making the bond stronger. Having the engagement shoot gives you an opportunity to see for yourself how your wedding photographs would look like. If there is something you don’t like or if there were something you’d definitely want to add, all that can be taken care of, thanks to the engagement shoot. You can even try your hair and makeup to have a clear idea of how you’ll look. You’ll have enough time to bring in the changes you want. It will also give you more confidence in you and your photographer. There are many ways you can use the engagement images. You can gift them to family and friends, make a small album, order a portrait, and use the images in the wedding program itself. The opportunities are endless. It will help to add a personal touch and warmth to the whole event. Guest books are common at weddings. How about a personalized guest book than the usual boring plain guestbook? You can use your engagement images to create a personalized signature guest book. Why not create a beautiful personalized signature guest book with images from your pre-wedding shoot? The guests will be inclined to sign the guest book with their special messages, rather than jotting few perfunctory lines. This guest book will be a keepsake for years to come. Every time you flip through it, you will be able to relive and remember your day. As with wedding photography, engagement shoots are also about creating memories. The engagement pictures will tell how your story began and you can take it to the next level through wedding day photography. More importantly, it tells your story in pictures with the two of you and the bond you share in focus.